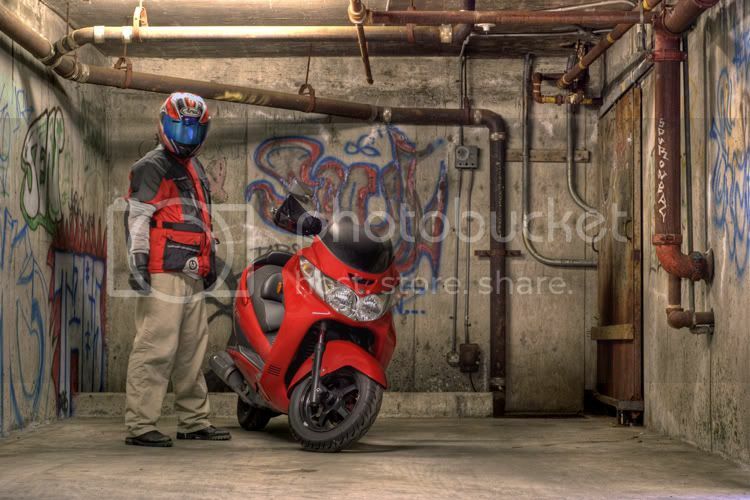 I went out to take some new pictures of the Suzuki Burgman today. I decided to go to same "scary" place where I had taken some shots of the STI. The is an HDR image from 2 exposures. Number 7 in the series. Hey, your bike and outfit matches the graffiti. Nice!